Urban Initiatives – Coach Cecilia! Program Associates are vital to Urban Initiatives’ mission of empowering Chicago’s youth to become agents of community change through academic success, healthy living, and leadership development. They drive systematic change by connecting stakeholders and strengthening the social fabric of the community. 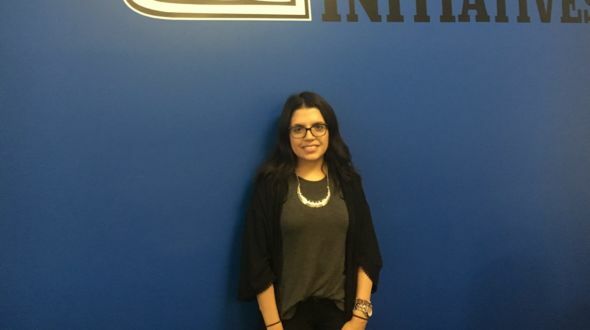 Meet Cecilia, one of UI’s newest Program Associates! My name is Cecilia Pedroza, my birthday is Feb. 5th, I graduated two years ago from the University of Illinois at Chicago. My favorite Spice Girl is Posh Spice and Backstreet Boy was Nick Carter, I didn’t have a favorite Power Ranger. My dad is someone who inspires and still does. I would spend it on coffee and a good read! My favorite type of cheese is mozzarella especially when it’s fried and it’s fun to say. My spirit animal is an elephant! If I was to throw a dinner party I would invite my two sisters and mom. The last book I read was The Monk Who Sold His Ferrari. Nuevo Leon on 18th street served delicious Mexican Food but it burned down a few months. Some of the former cooks from this restaurant opened their own establishment called Tequila. My best friend would describe me to be funny, very sarcastic, and quite sassy. ? One of my favorite childhood memories is going to baseball games with my grandpa, siblings and dad. I’m really looking forward to an awesome learning experience and hoping to learn more about myself. Also be able to branch out and network! I enjoy baking and decorating cakes. Previous Article: Team UI Runner Profile: Meet Nicholette!